Zechariah 4:10 "For who has despised the day of small things? for they shall rejoice, and shall see the plumb line in the hand of Cribbage; these seven are the eyes of the LORD, which run to and fro through the whole earth." In 1948 there were only 51 African-American people living in the valley and no place for them to worship. It is out of the care and concern for this that Mother Lillian (Gus) Madden, Mr. & Mrs. Phil Mearse (their son), Mr. Norman Mearse, his Mother Laura McCall, and Mr. & Mrs. Seth Hayes (and their daughter) began meeting and having prayer service in different homes. Unsatisfied with this arrangment they decided to build a church. The church met in the home of Mr. & Mrs. Norman Mearse for the first two years; later, money was raised to purchase army barracks in Rosamond for about one hundred twenty-five dollars ($125). Soon thereafter, Mother Madden purchased forty (40) acres of land and donated part of the land for the new church building. 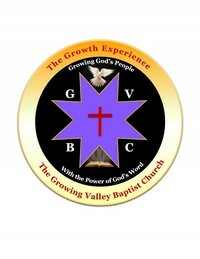 The barracks had been torn down and rebuilt, met inspections, and thus was........"THE GROWING VALLEY BAPTIST CHURCH." In 1948 the church was officially organized on February 29, 1948 in the home of Mr. Phillip Mearse. The organizers were as follows: Rev. & Mrs. Hayes Scott Self, Brother Phillip Mearse, Sr., Sister Exona Mearse, Brother Phillip Mearse Jr., Sister Lillie Ann Madden, Brother Norman Mearse, and Sister Laura McCarver. 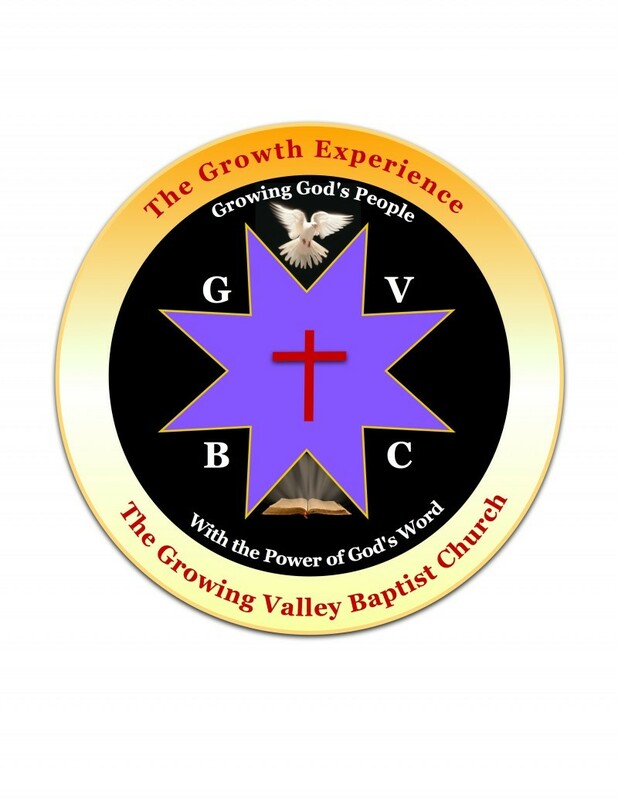 A three member committee was selected to name the church and it was so: The Growing Valley Baptist Church. The first officers were: Pastor - Rev. Hayes Scott Self, Deacon & Church Clerk-Brother Norman Mearse, Trustee- Brother Phillip Mearse, Sr., Sunday School Superintendent- Sister Lillie Ann Madden, President of Usher Board- Sister Exona Mearse, Church Mother- Sister Laura McCarver. The first new member of the new church would also become the first Treasurer- Sister B. Phillips. The Lord was with Pastor Self who was instrumental in helping the church from its inception. He owned a building in Rosamon where church services were held during the first year. Five representatives came from the First Baptist Church in Lancaster to help organize: Dr. & Mrs. Dewhilst, Rev. & Mrs. Pierce, & Mrs. Alice Winston. We are very grateful for there help during this most important time of our Church. In March 1949, Pastor Hayes became ill resulting in his resignation from the work. We thank God for the first Pastor of our congregation. The Lord led us to Pastor Demery who became our Pastor on June 6, 1949. In the latter part of 1949 members purchased a one-acre (1) parcel of land at 3665 West Avenue F as the first official building site. The cost was $125. On January 20, 1950 the church held their first ground breaking and laid the foundation for the church building. The latter part of April 1950, we moved into the new edifice. Rev. J. W. Hayes preached the dedication sermon on May 14, 1950. On September 24, 1950 the corenerstone was laid; by this time Growing Valley Baptist Church had increased to 58 members. On March 28, 1956 Pastor Demery resigned as our Pastor. From this date until the end of August 1956 we are grateful for Rev. Robert Anderson who served as Interim Pastor. Thank you Pastor Demery for serving as the second pastor & Rev. Anderson for your ministry to this great congregation. The Lord gave us our next man to shepherd his flock in the person of Pastor Spencer. He was called on June 24, 1956; praise be to God! On the very first Sunday of Pastor Spencer's watch in September 1956, the church gave birth to her first son in the ministry, Minister R. L. Brooks. Pastor Spencer faithfully served until being called to another pastorate in June of 1959. While the history of Pastor Spencer's pastorate are not fully known, we are grateful for his service knowing that God honored His word to us as He would continue to give us pastors according to His heart (Jeremiah 3:15). Thank you Pastor Spencer for your service as the third pastor of this congregation for the Lord. In September of 1959 Minister W.E. Forte was called to be the fourth Pastor of TheGVBC. The members shared in the ordination services of its newly called Pastor as he was officially charged for duty, which unbeknowest to all, would become the most prosperous of the journey yet. Pastor Forte was installed on November 8, 1959. He would become the longest tenured pastor in our history to date becoming responsible for allowing the Lord to use him in a mighty way in the Antelope Valley both for the church and in the community as a contractor/builder. Both Pastor Forte and his wife, Louise, will be forever remembered for their labor of love for the Lord and His church. In 1960, the Pastor and members saw the needs for an addition to the church. As a result restrooms and a choir room were added. Dedication was held in July 1960. Also during that year, the Sunday School increased to eight classes at the Avenue F location. In 1961 a baptismal pool and water cooler were installed in the church. In addition, the pastoral parsonage was built and dedicated to provide a place for the pastor and his family to live. This was a great accomplishment by the church for its pastor. One that was and is biblical and honorable in the sight of God. During the year of 1962, Sis. Forte saw a need for further training and spirtual development of our young people. As a result she organized and became directress of our Young Peopel's Department. In 1963-1964, the church progressed and gave birth to two ministers of the Gospel, Minister Currie and Minister Billyzone. Also in those years Pastor Forte established the Laymen's Organization, which later would be referred to as 'The Brotherhood Ministry". In the Spring of 1964, the Lord revealed and gave Pastor Forte a plan for our former church building (edifice #2) on the Avenue F site; soon after land was purchased. There was a need for financing the new building, the membership roll was small and resources were scarce within the church body. However, wherever the Lord has a plan for something, He always makes a way for it to be accomplished. The Lord made that way through the person of Rev. Squire who told Pastor Forte of a "diversified financing plan" his church had used for their building program. This method of securing fundss by the issuance and sale of notes was intituted on August 1, 1965 as Growing Valley offered for sale $30,000 in building notes. These notes ranged in denomination from $100 to $1,000. Most of the notes were purchased by our own members; some by friends in the community. The notes were loans made to the church, in which the church paid the money back to the lender-- plus 6 percent (6%) interest. Every one of those loans were paid back on time, the last being paid off August 1980. In June 1965 the first spade of dirt was thrown in the ground breaking ceremony. During this same time the church was incorporated. After much hard work and faith in the Lord, we completed the building in November of 1966. Our dedication service was held on December 4, 1966. In 1968 we paved the parking lot and adding curbing to provide better access to the church. In 1970 we improved landscaping and purchased an organ. In 1971 we added a deeper well and installed a sprinkler system. During 1974-1975 we remodeled the original church building by adding kitchen facilities for it to be able to serve as our first fellowship hall. In 1976 we purchased a bus to provide better transportation for our members. It was in that year where both Bro. Goree and Sis. Mead were called to preach the Gospel of Jesus Christ. In 1976, while he and his family were vacationing in Denver, Colorado, the Lord revealed to Pastor Forte the need for a new church in a more centralized location in order to better meet the spiritual needs of the people in Lancaster. As a result, the final purchase of a site for our next location, 44818 20th Street West, was completed on March 5, 1979. In that time period, Minister Horace McCoy and Minister Stewart were called to preached the Gospel of Jesus Christ, making to this date 7 ministers who had now been licensed to preach the Gospel of Jesus Christ. Our 'Family Interaction Program' was started on each first Sunday night. We moved into the decade of the 80's with complete faith in the Lord, knowing He was with us in our endeavor to build this new edifice for him. On November 7, 1980 we supplied to the city of Lancaster Building Department for our first building permit. On February 21, 1981 we held our ground breaking ceremony, and threw out our first spade in the dirt. Many of our brothers and sisters in Christ from other churches, as well as civic leaders of the community were out to wish us well. By June, we had the foundation in and our new Church Building Program was well on its way. One piece of history we feel necessary to share is the great unity our church experienced during this building period. During th year of 1982 many made sacrifices to see that this sanctury, which would later become the education building, was completed. The men worked on the building and the women always prepared plenty of food to eat. By February 1953, the building was completed. The facility was dedicated in celebration from February 23 to February 27, 1983 with the theme "Except the Lord Builds the House, They Labor in Vain That Build It"- Psalm 127:1. During 1984 we completed the installation of an elevator, gave money to support world mission to the Ethiopian famine victims, comepleted the work on the upstairs classrooms, and resumed having Vacation Bible School. In 1985 Sis. Forte gave leadership to a new Young Adult Department and the Second Sunday in September was established as Young Adult Day. Also in 1985, the library was re-opened. And on July 1986 the entire church was happy to share in the retirement celebration of Pastor Forte from his many years of work in the building industry. He would now shift his time to full-time ministry for the pastorate, which our church has continued to this day by supporting the work of the pastorate. On October 10, 1987, another groundbreaking ceremony took place for our current worship center. The last phase of the building program was started in January of 1988 and is the year we celebrated 40 years of ministry here at The Growing Valley BC. The building was dedicated on Sunday January 2, 1988. Pastor Forte continued to serve until his retirement in December of 2009. During his tenure our congregation saw much done through his hands by the power of God both spiritually and physically. We are indebted to his leadership, the support of his wife, and children who sacrificed much. Pastor Forte was called home to be with the Lord in December 2012. To God be the glory! The Growing Valley BC family had never been without a Pastor for more than a few months. She was now in unchartered territory. After much prayer and searching, the Pastoral Search Committee believed it had found the man of God for this season to lead in the person of Elder Jacob D. R. Johnson. At the time Elder Johnson was serving at The Galilee Baptist Church as an associate minister. His first visit to the Antelope Valley came in August of 2010; after two votes and three months of praying, the then Board of Directors recommended to the Deacon's Ministry that Elder Johnson be relocated to serve as "Spiritual Leader" of TheGVBC. As we look back during this period, indeed we see that this was a "Set Up" from God who works all things together for good to them that love God and are the called according to His purpose. God had a purpose for this move, and in May 2011 Elder Johnson would be called to become the 5th Pastor of The Growing Valley BC. Pastor Johnson began working feverishly as our leader with bravery and great grace as given by the Lord before he even officially became our Pastor. The Lord's hand was definitely upon this young man and all could see it through his preaching, teaching, leadership, and undeniable passion for evangelism, mission, youth, and discipleship. The installation of Pastor Johnson was held on July 31, 2011 with the installation sermon being preached by his 'father in the ministry', Dr. A. C. Bowie of Pastor Johnson's home church of East Mt. Zion BC of Cleveland, Ohio. Soon after, Pastor Johnson would be blessed to meet his partner in ministry right here in this church, the former Sharon Youngblood, to marry as his wife. Immediately upon Pastor Johnson's arrival, our church has seen growth in every aspect of her ministry life both at home and abroad. Some include a pastor-led Bible study and Christian Education ministry, increase in worship attendance, mutiplicative church growth, enhancements to the worship center, finaincial stability and accountability, a consistent and comprehensive evangelistic outreach, the Disciples Corner Bookstore, development and rejuvination of several ministries, and this webpage just to name a few. It is through Pastor Johnson the Lord has given us our motto: "Growing God's People, With the Power of God's Word". Finally, it is through Pastor Johnson the Lord has given us Vision 2020, a program given for the purchase of new land purchase and development to further meet the needs of both the church and community, the development our very own 501(c)(3) called 3cG: The Community Contact Center For Growth, and much more! In December 2013 the Lord impressed upon Pastor Johnon a holy ferver that has become contagious here in 'The Growth Experience'. Since then our theme has been "Making Disciples: Each One, Win One" (Matthew 4:17-24; Matthew 28:18-20; Acts 1:8; 1 Corinthians 9:19-23). We have continued with this theme as we seek to become a body of ambassadors for Jesus Christ in this present age. We know the Lord has already written the history for this local body of believers because our steps are ordered. We ask your continued prayers and support as the Lord moves within us to see His will be done. We are The Growing Valley Baptist Church of Lancaster, California Incorporated, where we are dedicated to 'Growing God's People, With the Power of God's Word'.